Mark Zuckerberg is much more than the world’s youngest billionaire. At age 27, the founder and CEO of Facebook has forever changed the way we share ideas, interact with friends, and present ourselves to the world. This didn’t happen by accident. Mark has been able to accomplish extraordinary feats because he’s lived his life in an extraordinary way. Keep reading for nine ways that you can be more like Mark Zuckerberg. The best new ideas are often just new combinations of old ideas. In October 2003, while a sophomore at Harvard University, Mark created a website called Facemash. Facemash would place the images of two Harvard students opposite one another and ask users to pick which was more attractive. The website was a hit on campus, but there was one big problem: Zuckerberg had hacked into Harvard’s computer network to get the images of the students and was therefore violating people’s privacy. The university shut Facemash down. Later that semester, Zuckerberg made a website to help his classmates study for their art history final. Like Facemash, it was hit at Harvard. Unlike Facemash, it allowed users to post comments underneath images. 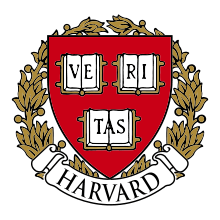 Around the same time, Zuckerberg began working as a programmer for a group of Harvard students who were developing a dating and networking site called HarvardConnection.com. All three of those ideas were good (if flawed) on their own, but when Zuckerberg put them all together they became Facebook. 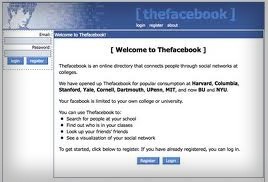 On February 4, 2004, Zuckerberg launched TheFacebook.com, a social network exclusively for Harvard students. The next month, he introduced it to Stanford, Columbia, and Yale. Soon Facebook opened to more Ivy League schools, eventually spreading to all universities across the United States. Only after expanding from colleges to high schools and companies did Facebook go public in September of 2006. That’s over two-and-a-half years after it first launched. 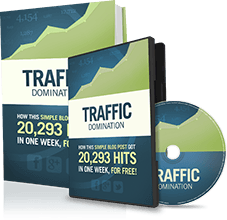 If you want to attract as many people as possible to your website or business, it seems like you would want it available to everybody right away. But these things take time to grow – and it’s often better to incubate your business in a smaller community before going global with the big boys. Furthermore, people are more likely to visit sites that are catered specifically to their needs, partly because we enjoy being part of a ‘select few’ who are able to participate. This isn’t just good advice for websites. If you’re providing a service, try starting by working exclusively for one very small niche. Contact the people and businesses in that group and let them know that your work is tailored specifically for their needs. Expand from there. 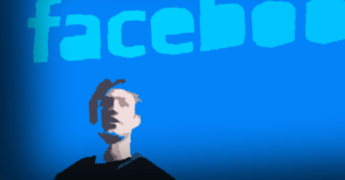 While sites like MySpace and Friendster fell to the wayside, Facebook grew into the 800-million-member behemoth it is today because it has a knack for understanding how people want to share and connect socially. Mark may be a bit on the shy side, but he’s not afraid to shake things up. He once had a business card that read, “I’m CEO… B***H” and he sometimes wears rubber sandals to board meetings. Part of the fun of being an entrepreneur is that you don’t have to follow a business code of conduct. It can signal to clients and customers that you’re an innovator who will excel in the ever-changing world of 21st century business. Already worth $17.5 billion (and having pledged half of his wealth to charity), it’s hard to believe that Zuckerberg is motivated by the desire for more money. If you haven’t already, take the time to consider the overarching mission of your enterprise. When you’re aware of the positive impact that your business can make, you’ll be more motivated to work hard and make it happen. In 2010, Zuckerberg began blocking out an hour every day to learn Mandarin Chinese. That December, he traveled to Beijing and toured the offices of Baidu (the Chinese equivalent of Google). With a population of 1.3 billion, Zuckerberg clearly sees the potential in tapping the Chinese market. In the Internet age, barriers of distance have become almost irrelevant. So take a page from Mark and think of your business as a global endeavor. If Mark hadn’t been willing to work way past his bedtime, he never would have been able to launch Facebook while enrolled full time at Harvard University. This work ethic remains in Facebook’s company culture to this day. Facebook regularly holds “Hackathons,” in which their engineers stay up all night, coding from 8 pm until dawn. Past Hackathons have yielded Facebook Chat and the friend suggester. Sometimes our best work comes when we immerse ourselves completely in a project, late at night for hours on end. What do the founders of Google, Apple, Microsoft, and Facebook all have in common? Computer programmers create digital systems – and digital systems have never been more important to the way we live and do business. Zuckerberg’s advice above stems from his understanding that skilled programmers will be in very high demand for decades to come. Of course, some of us have ambitions that don’t require lines of code. So the real lesson here is to develop the skillset necessary to accomplish your goals. That way, when you have a billion-dollar-idea, you’ll actually have the ability to bring it into existence (like Mark did). Mark Zuckerberg takes self-improvement very seriously. He lists “eliminating desire” as one of his interests on his Facebook profile and he takes on a new “personal challenge” every year. In 2005, when some Facebook investors and employees began criticizing Zuckerberg’s performance as CEO of the company, Zuckerberg didn’t get defensive. 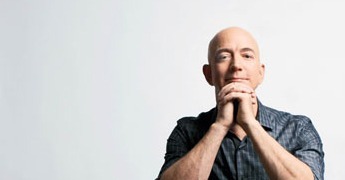 Instead, he took “CEO Lessons” from a retired former CEO. Businesses are a reflection of their owners and part of the reason that Facebook keeps getting better is because Mark keeps getting better. If you liked this article, share it on Facebook. Mark would want it that way. Hey Nick !! This is really nice collection of information flooded here about Mark. Please keep on posting. Yeah — the movie was pretty fictionalized, but it did capture Mark’s drive. Nice article Nick, Mark is a real inspiration for all young people , he revolutionised the way we chart on the internet and gave a platform for businesses to market themselves to millions of people all over the world.. True — Facebook is a huge business platform. We’re going to keep seeing its impact grow for years to come. cool story and really amazing to read. I am gonna share on facebook. Love this article – thanks so much! Particularly #9! 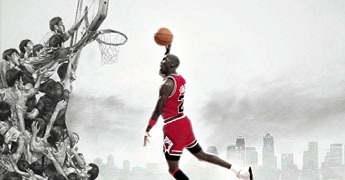 – Challenge yourself to be better – I believe that’s where many of us fall down – and that’s where many of us would be able to embrace #’s 1-8 to grow our buisness. #9 may be the most difficult, but it’s also probably the most rewarding. Very nice article. Thanks for the insights Nick. Again it is sacrifice, confidence and unstoppable persistence that keeps entrepreneurs ahead. Very true. People look at Zuckerberg and think that he must have got lucky and stepped on a lot of toes to become so successful (probably both are true)… but the traits you mentioned played a much larger role, as they always do. Thanks for your great post Nick… I love #3 Work Backwards from the Customer and #6 Think Worldwide…. Hi nik, thanks for the basic case study of successful characteristics. Love this! Who better to learn from? Inspiring and thought-provoking. Thanks, Nick, for the great post. Zuckerman is fascinating. My favorite part of your article was Mark’s quote, “What do people want to tell about themselves?” For my site, I want to empower people to want to live more organically and sustainably. So, my challenge is to write articles that empower and motivate. Hey Nick. Such a wonderful article. There are lot about Jobs, but not Zuckerberg. I agree with all the points you made — very inspiring. I’m learning how to program and I’m listening to all of the other things on the list, so hopefully I can build the next Facebook. I got #8 (Be a programmer) nailed, time to work on #9 (Challenge yourself to be better) though. Mark Zuckerberg certainly is a unique personality. Everyone can certainly take a leaf out of his book. One never knows when what you do today is going to change the rest of your life. I would recommend folks just taking one of the points you have listed and focus on that for the next 30 days then move on to another. Thanks for the share. Great post Nick! #7 & #9 way is my favourite. By the way have you watched The Social Network? Sometimes its hard to take criticism from the people around. The secret behind is the lessons learn’t from their business experiences and the people surrounding.It’s great to learn that Mark positively takes criticism. This articles has great wealth of lessons drawn from real life business experience. Hi Nick, Great article. You send so many inspirational helpful tips! combine ideas? more like steal ideas. but enough of the ad hominem. like i said earlier, we stand on the backs of giants. crediting mark as the sole mind behind FB is incorrect. Just like crediting bill as the one mind behind MS is also incorrect. hell, this website is only as successful as the rest of you are. crediting mike with the success of his sites would be wrong too, because nothing great is ever done alone. That’s an important lesson to learn in business/life.